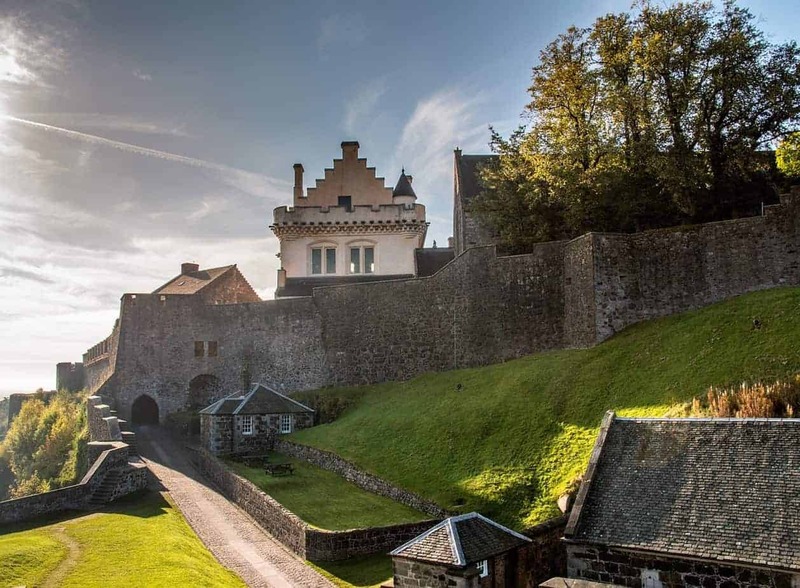 While the bigger, more famous cities of Scotland get considerably more tourism, Stirling is a somewhat lesser-known, but equally wonderful stop on any trip to this enchanting country. 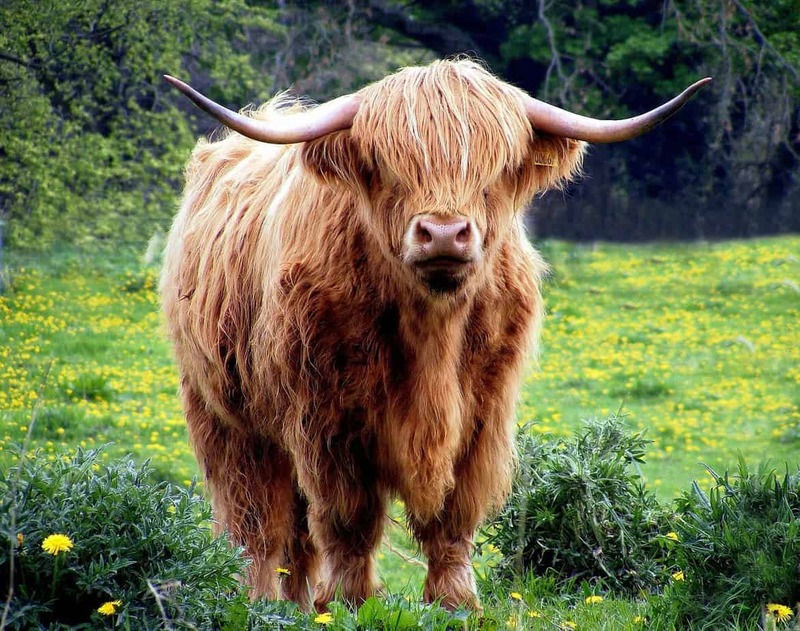 And there are plenty of sites to see and things to do in Stirling to make it worth your while….even if you only have one day! Often referred to as “Scotland’s heart” or “the gateway to the Scottish Highlands”, Stirling is a wonderful city nestled midway between Glasgow and Edinburgh. 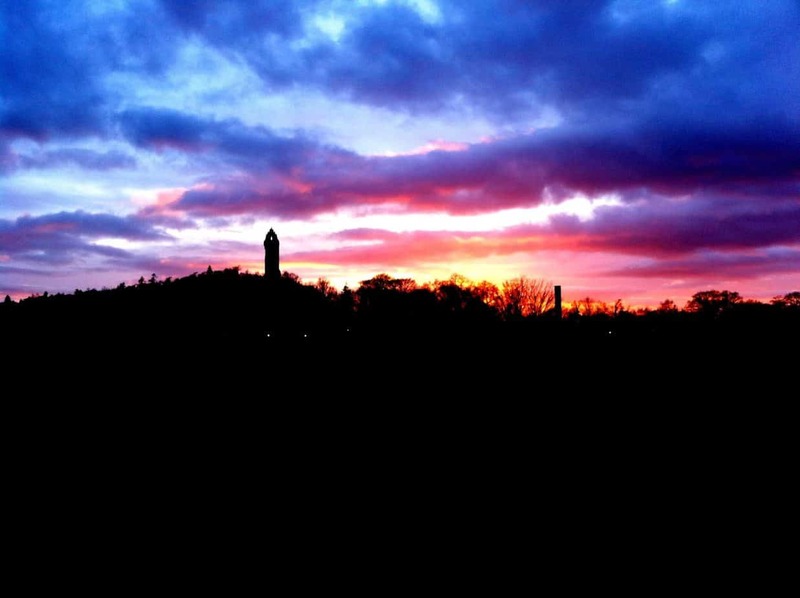 In 2012, I (Amy) attended the University of Stirling for my master’s degree. The year I spent there was absolutely incredible, not only because I was receiving a fantastic education and meeting people from all over the world, but for no other reason than that I was in Scotland. When not studying, I was happy to go out and discover the many Stirling things to do. 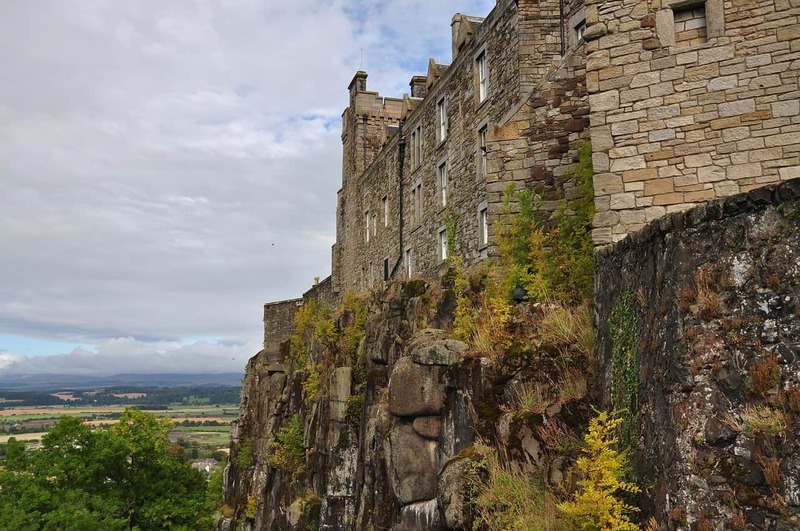 Living there for more than a year gave me insight into what visitors should be sure not to miss, do, see, and eat when passing through Stirling. Read on and take notes! You can’t leave Stirling without paying a visit to Stirling Castle. This is the focal point of the area, overlooking the town from its impressive spot atop a rocky hillside. 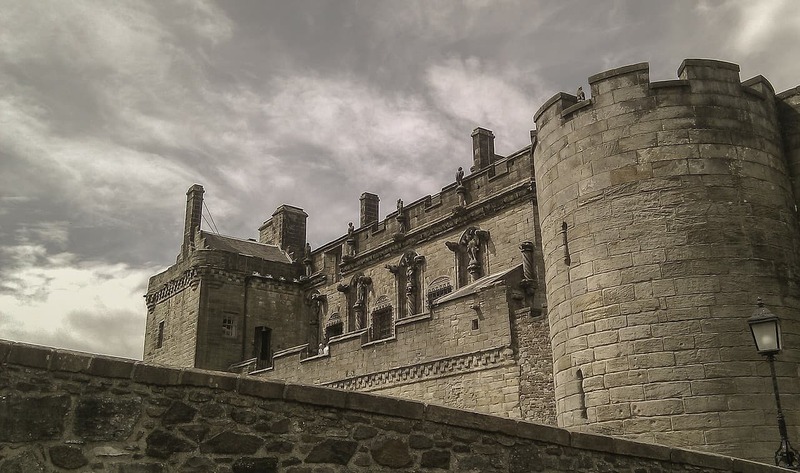 As you explore the Stirling city centre it’s easy enough to make your way to the castle. Just keep heading uphill! Before entering you’ll be treated to terrific views of the surrounding countryside, especially looking north towards the Wallace Monument. Stirling Castle is well worth a visit. It is considerably cheaper than the entrance fee for Edinburgh Castle, and many say it is the better option. The Castle is open daily from 9:30am. The castle suggests allowing 2 hours for your visit, to enjoy Stirling Castle at its best. Traveling further in Scotland? Check out this helpful itinerary post. 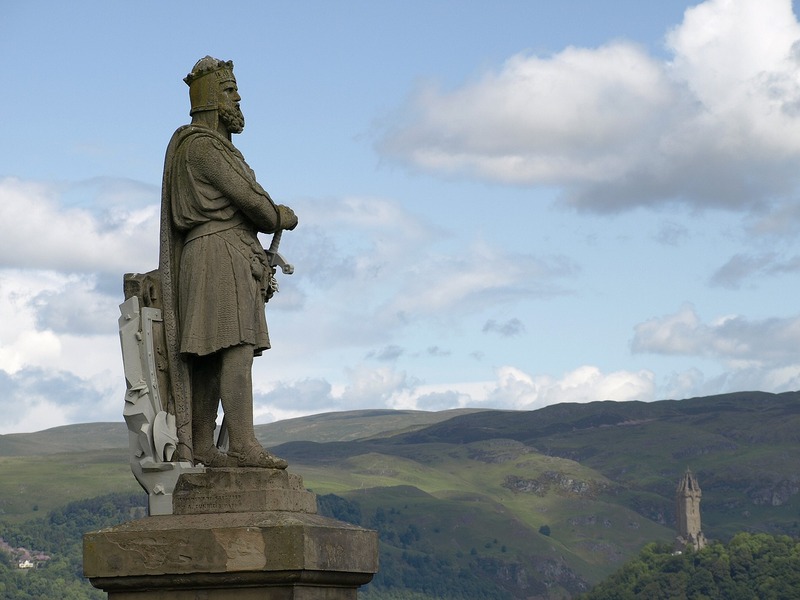 Once you’ve seen the Wallace Monument from afar, you’ll definitely be intrigued and want to see it up close. The monument, though built within the last century, is gothic and impressive. Take a local bus to the university area or hire a cab. Just down from the uni, a few side streets bring you to the Wallace Monument visitor center, where you can ride a shuttle up to the monument itself, or choose to hike a short but steep path through the wood. The view overlooking Stirling town from outside the monument pretty incredible but it’s definitely worth paying the few pounds it costs to climb inside the monument itself. The monument is filled with historic information, media, and at the very top, a striking open vantage point. The University of Stirling is a beautiful campus that is definitely worth a visit. a stroll through the grounds brings you along shady paths to a modest castle, a breathtaking loch filled with swans, and an abundance of hopping bunnies all around. 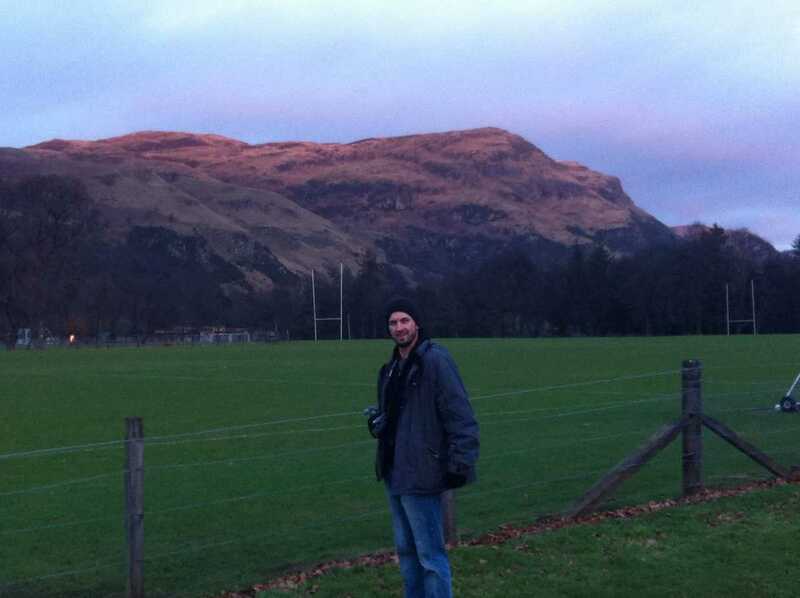 In the distance you’ll see Dumyat, a rocky mountain that towers above the campus. If you have time, stop at the university’s Macrobert Arts Centre. You can grab a bite to eat and stay for a film or catch a live production. One of the loveliest things to do near Stirling is walk and wander. 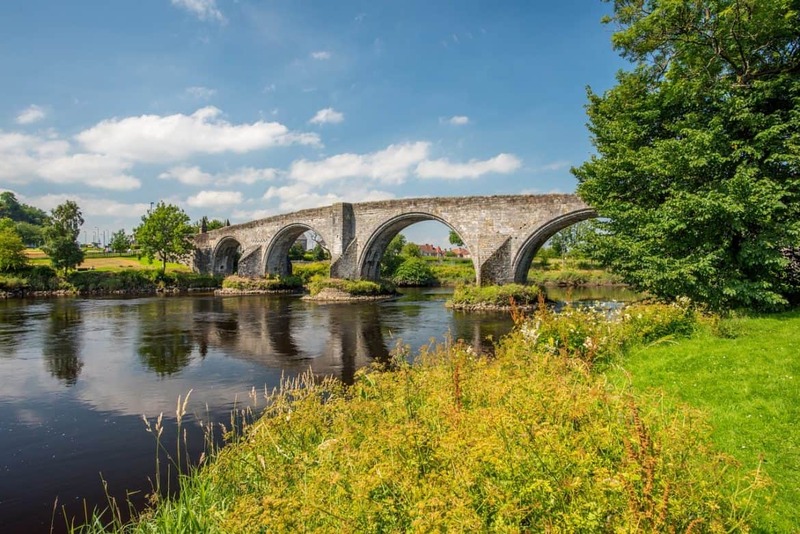 Stretching from Bridge of Allan to the nearby town of Dunblane is the Darn Walk. This wooded path is said to have been around since Roman times. The walk is just over 4km in length, and takes about an hour or so to complete. Nathan and I took much longer to do this walk, as we had to stop and snap photos every few minutes. The path winds around gently bubbling streams, austere stone walls, and amidst tall trees. But the gem of the Darn Walk may be the cave found halfway along the route. This cave is easy to notice, and is allegedly the spot where Robert Louis Stevenson played as a child during the summers of his youth. Many suspect the cave is part of Stevenson’s inspiration for the novel Treasure Island. Do you want a slightly challenging but rewarding hike? Dumyat is the highest peak in the area, and a popular hiking spot for many. Nathan & I hiked it in 2013 on Easter Sunday, and it was quite busy with families, couples, and hikers of all ages. It takes approximately 2 hours to complete this hike, starting down behind the university. More information on hiking Dumyat. 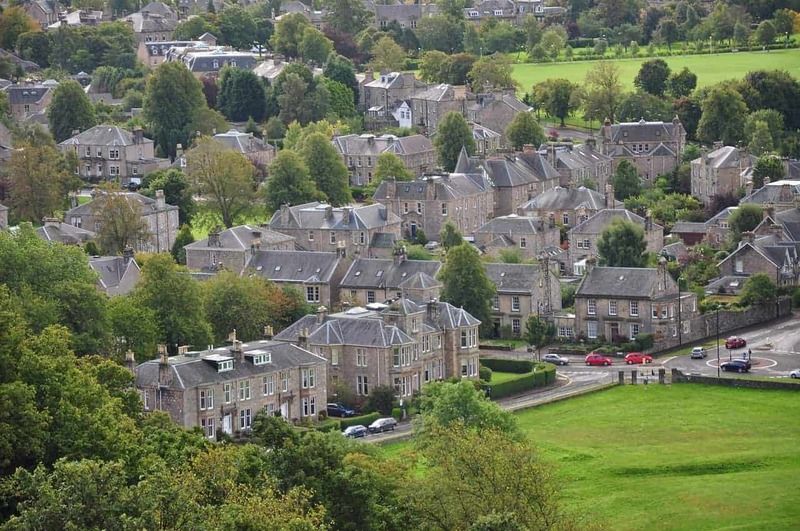 Just next to Stirling is the quaint town of Bridge of Allan. This is where I lived during my time at the uni. This sleepy and sweet town is certainly not packed with action, but it is a great choice for a bite to eat, a stop at a pub, or a day of window-shopping. Bridge of Allan is also a nice area for walking around the very Scottish looking neighborhoods. Did I mention Stirling is a great area for walking?? Stirling and Bridge of Allan are full of winding footpaths waiting to be explored. Around the city and the castle are many paths which hug the edge of the hillside. A brief wander around these takes you in and out of Stirling town and through open hillside. The views are great with benches dotted here and there to provide a great spot for a rest or a picnic. There are also lots of little surprises to be found. As you walk, you will stumble across the Beheading Stone. A large stone slab surrounded by a cage claims to have been the spot where many were executed. Overlooking the surrounding Scottish countryside, it seems poignant that such would be the last views of those condemned to die. It’s a stark reminder that Scottish is a beautiful country, but has a fairly bloody history. Those searching for things to do in Stirling shouldn’t leave the region without stopping by the Church of the Holy Rude, just down the way from Stirling Castle. The church is open to the public, and it suggested that you leave a small donation, but the interior is well worth it. Cavernous and ancient, the church is the second oldest building in Stirling. For the history buffs, you’ll love to know that in 1567, James VI was crowned king of Scotland in this spot. 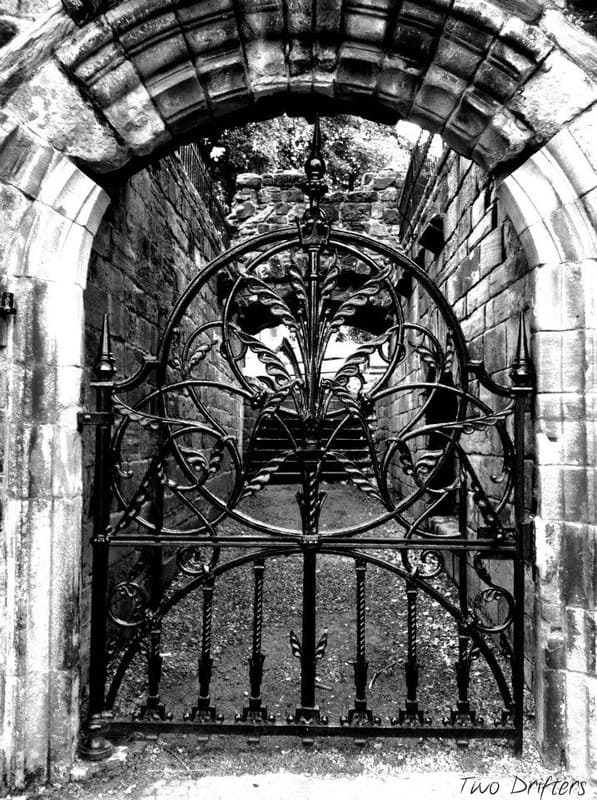 Be sure to walk around the graveyard surrounding the church as well. It is well maintained and on a misty day is an especially mysterious and awe-inspiring spot. If you’re looking for a homey stay in the Stirling area, Castlecroft is a top choice. Set in an area underneath the castle, this pleasant B & B gives you lovely views, cozy accommodations, and is only a quick walk to the city centre. Click here to check latest prices & availability. 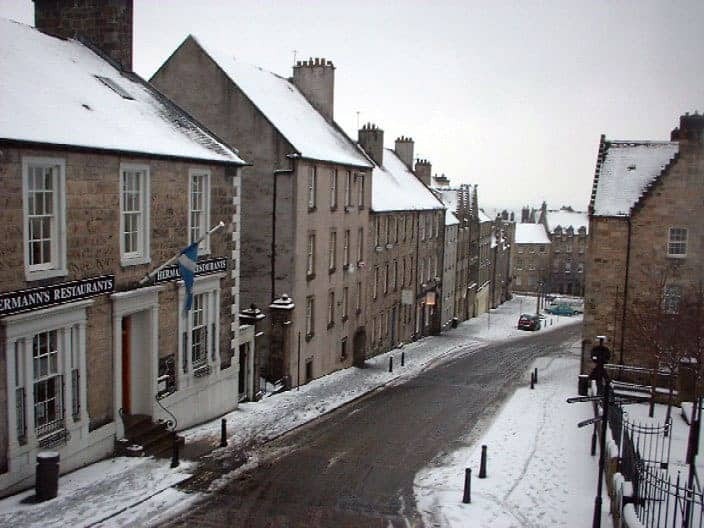 When choosing hotels in Stirling, perhaps you would prefer to be downtown. The Golden Lion Hotel is the stately lodging you’re looking for. Family-owned, the Golden Lion is in the center of everything, and you’ll find perfect Scottish hospitality is on the menu. Click here to check current prices & availability. If you’re on a tighter budget, we totally get ya. Hostels are where it’s at. Willy Wallace hostel is a bright colored hostel right in downtown Stirling that offers the typical amenities you’d expect from a hostel, such as Free-Wifi. 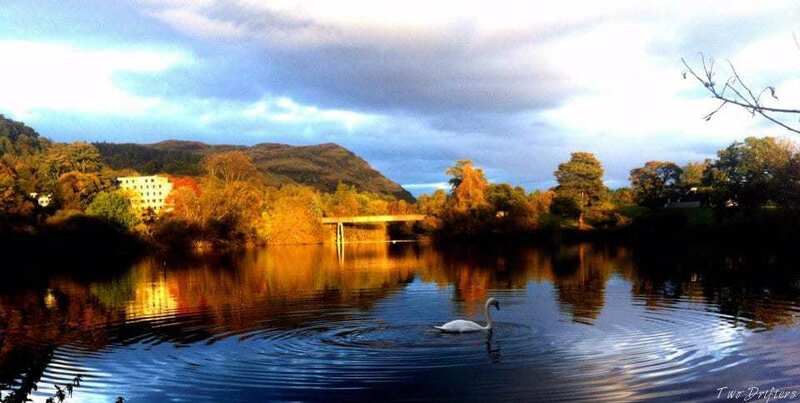 It’s a short walk from the hostel to all major attractions in Stirling. Click here to check latest prices & availability. Luxury off-the-beaten path is what you’ll find at the Royal Hotel. This 18th century mansion is set on the main street in Bridge of Allan, just a few minutes’ drive from Stirling. They have a fantastic restaurant in this hotel. I can vouch for having eaten some of the MOST delicious haggis here! Plus, there is plenty of shopping, dining, and pubs within walking distance. Click here to see the latest prices & availability. Oh my heart skips a beat thinking of this place now. A modest little establishment in Bridge of Allan, Allanwater Cafe serves the very best fish and chips I’ve ever had. You can dine in or take it to go. If you’re in the mood for something uniquely Scottish, consider the deep fried haggis. You can thank me later. When dining out with friends or family, there’s no better option than Mediterranea. This cozy and delicious restaurant is found in downtown Stirling. Serving up a mix of Mediterranean dishes, you can order a variety of small plates for your table to share. The hummus is to die for and you simply must save room for dessert. I seem to recall pitchers of heavenly sangria are also available at a reasonable price. A classic pub and restaurant, the Westerton Arms is a lovely place on the main street in Bridge of Allan. This is a nice option if you’re looking for a nice sit-down restaurant offering a varied menu. The pub and restaurant are separate, so you can enjoy your meal and then head into the pub to watch a football game and grab some pints. Wondering where to drink in Stirling? I think of Allanwater Brewhouse as the hidden gem of the Stirling area. Tucked away behind some buildings in Bridge of Allan, it’s not easy to find. But once you’re inside, you’ll understand how magical this place is. A tiny brewery, you can sample and enjoy half a dozen beers right out of the barrels. The atmosphere in here is warm and friendly, and there’s often live music. Sit amongst strangers and friends at the mismatched tables and play dominoes or cards in the candlelight and ambiance. So good. Don’t miss this place if you travel to Stirling. Have you been to Stirling? What did we miss? 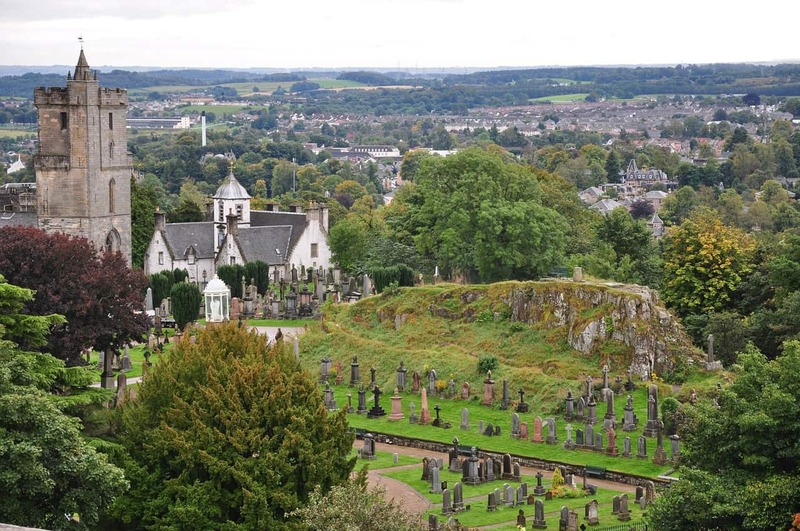 Great post guys, seems like there’s loads to do and see in Stirling. My ancestors came from that area so I should probably go check it out sometime! We were only in Stirling for one day so only had time to go to the castle. We’re normally the first ones in and the last ones out in any places. if we ever get chance to go back it would definitely be worth checking out some of the other things you mentioned.